The crudest classic issue by a government Post Office in what used to be called the British Empire was made in British Guiana during 1850 and 1851. There were four different values, 2 cents, 4 cents, 8 cents and 12 cents. All are rare, but the lowest value is among the world’s greatest philatelic rarities – ten examples are known: three pairs and four singles. The design was of the utmost simplicity; it consisted of the figure of value followed by the word “Cents” in italic letters in the centre around which was BRITISH GUIANA in Roman serifed capital letters. The whole was enclosed in a single-lined circular frame, which occasionally is somewhat ovoid. According to the standard work, The Postage Stamps and Postal History of British Guiana by W. A. Townsend and F. G. Howe, Royal Philatelic Society, London 1970, p.25, the frames were formed by pieces of printer’s brass rule, bevelled at one edge and blunt at the other edge. Each piece of the rule was 23 mm wide and 82 mm long and, after being bent, was soldered at the junction so as to make a tube. Into the tube, pieces of printer’s type were fitted to form the inscription and value. Some, but it is not certain how many, such assemblages were gathered together for the printing. After one value had been printed, the appropriate piece of type in each tube was removed and replaced by another piece of type for the next value to be printed. For the 12 cents value, two pieces of type had to be inserted. The typesetting resulted in various philatelic Types. Townsend identified four: three with thick frames and one with a thin frame. Consideration of examples of the 4 cents and 8 cents resulted in the observation that there were three thick frames to every thin frame. He omitted the 2 cents and 12 cents from consideration of the relative frequency. Of the four Types only two – both thick frames – exist on the known examples of the 2 cents: eight are Type A, characterised by the first “I” of “BRITISH” leaning to the right. The other stamps (VII-VIII) are, according to my observation, Type B which is characterised by a raised and left-leaning first “A” of “GUIANA” and a minute break in the outer circle slightly to the left (not right as appears in Mr. Townsend’s description of the Types) of the first “I” of “BRITISH”. The stamps acquired the nickname “Cottonreels” and is derived from their rough resemblance to the comparatively well-printed labels which used to grace the ends of wooden reels of cotton. In the “Prefatory Note” to the Official Catalogue of the London Philatelic Exhibition 1890 which contributed to the popularisation of philately, Major E. B. Evans provided surveys of the stamps on view. He employed nicknames in referring to various issues. As instances: under Brazil he refers to the “bull’s eyes”; under Buenos Aires he refers to the “Ships” and the “Gaucho” set; under Cape of Good Hope he refers to the “triangular capes” and the “wood blocks”; and under New South Wales he refers to the “Views of Sydney”, which are now known more briefly as “Sydney Views”. Yet under British Guiana he, pedestrianly, refers to the “round stamps of 1850″. The chapter in our book Famous Stamps bears the title “The Cottonreels”. Its use has been commonplace and worldwide since publication of that book and our re-use of the name in our brochure The W. J. Webster Collection of British Guiana which was published in 1941 on the second anniversary of the outbreak of World War II. Harmer, Rooke & Co. Ltd. commissioned us to write it when that collection was to be auctioned in New York to secure dollars to help the British National war effort. Thirty years later, Townsend and Howe credited the collection with twelve Cottonreels, but we had chronicled the sixteen it contained – eight 12 cents, three 8 cents and five 4 cents. The first intimation that an issue of adhesive stamps was to be made in British Guiana wascontained in a notice dated 15 June 1850 and published in the local official journal, which has often been referred to as the “Royal Gazette of British Guiana”. According to Townsend and Howe the journal, which was published by Joseph Baum and William Dallas, Printers to the Government, at High Street, Georgetown, underwent various alterations in title and ownership. It was, early on, known as the Essequibo and Demerara Gazette, then became the Royal Gazette, Demerara and Essequibo and eventually, on 10 May 1851, the Official Gazette of British Guiana. Amsterdam and at the different Receiving Offices. (Signed) E.T.E. Dalton D.P.M.G. E.T.E. Dalton was Deputy Postmaster-General, under the control of the British Post Office and appointed by the Postmaster-General in London. The issue of stamps was announced in the notice but there had been no time to obtain them from London within the fortnight between its publication and the date of their coming into use, let alone the ten days announced for the stamps’ availability. Arrangements, therefore, had been made for a supply to be provided locally. By Order of His Excellency the Governor and upon the request of several of the merchants of Georgetown, it is proposed to establish a delivery of letters twice each day through the principal streets of this city, viz., Water-street, Main-street, their intermediate streets and the Brick-Dam, as far as the Roman Catholic Chapel… Each letter must bear a stamp for which Two Cents will be charged, or it will not be delivered and when called for will be subject to the usual postage of Eight Cents. The deliveries will take place at 10 a.m. and 2 p.m. every lawful day. Stamps may be bought at the Post Office or at any of the receiving offices. This delivery to commence on the 1st of March. That the 2 cents stamps were issued eight months after the other values and the house-to-house delivery service was discontinued after it had been in operation for only a short while for want of support, has some bearing on the extreme rarity of the lowest denomination. Six of the known examples of the 2 cents were used in pairs to cover the 4 cents rate for ordinary prepaid postage to other parts of the colony. It was stated by Bacon in “The First Two Cents, British Guiana” published in The London Philatelist vol 9 p 35 February 1900 that there is a tradition that the four singles recorded as existing all came off the same lettersheet, prepaid at the 8 cents rate. All the stamps were produced at the office of the Royal Gazette. It is not known how many stamps there were to the sheet. The method of printing suggested is that the four tubes were arranged in a straight line in a forme to print a strip of four at each operation of the press. … were not printed so as to be easily cut square, as, although they were arranged in horizontal rows upon the sheet, they were not placed in a direct line vertically, but the stamps in the second row came beneath the spaces between those of the first row and so on. The horizontal rows were also placed close together. This explains why pairs of these stamps are so rare and it also accounts for the stamps being so frequently cut round. However, the three recorded multiples of the 2 cents establish that the stamps in the lower row were vertically below the stamps in the upper row. The three multiples are vertical pairs, in no pair is there more than one Type and the two stamps in each pair are well aligned one above the other; they are placed horizontally on the envelopes to which they are attached. In each pair, the distance between the stamps varies. The conclusion to be drawn is that, after one row had been printed, the paper was repositioned by hand in the press to enable the next row to be impressed. The situation regarding the printing of the only other recorded multiples – pairs of the 12 cents – is different. Five such multiples are known. I do not have complete records of all five pairs, but the records that I do have are of horizontal pairs and the two stamps in each pair are of different Types. On those facts no conclusions can be drawn about the positioning on the sheet generally of the stamps in lower rows in relation to the stamps or spaces between stamps in the upper rows. All values were printed in black, the only distinction between them being the colour of the paper: the 2 cents was on rose, the 4 cents on yellow orange, lemon-yellow and pale yellow, the 8 cents on green and the 12 cents on papers varying between pale blue and indigo. The paper used for most stamps was soft wove of medium thickness. These stamps were of the value of 4, 8 and 12 cents; they were printed in the colony … As they could be imitated in any printing office, I was obliged to countersign them. They were of the most ordinary workmanship and were only in use for several months until the arrival from England of better manufactured stamps. On more than one occasion I have commented on the accuracy of observation and report of Armand Martin and the fact that he is, even today, the source of reference for some philatelic details. It is quite remarkable that he should have recorded the note so long ago as 1866 and no subsequent writer has even referred to it. What appears above is the record translated by Armand Martin from English into French and by me from the French. There is not available to me at this time any material for verifying Armand Martin’s version. The initials of the “unknown” were later revealed to be those of W. H. Lortimer or, as Messrs. Townsend and Howe have it in their book, W. H. Lorimer, possibly a railway clerk. These initials are known in black, blue, violet, or red ink, and also in pencil. Some stamps have been found without initials. Except for the 2 cents, no one has estimated the numbers still existing of the other values of the Cottonreels. However, the existence of 18 examples of the 4 cents on lemon-yellow paper was recorded by Mr. H. R. Holmes, a past president of the Royal Philatelic Society, London. A well documented story of an exchange is related by P. J. Anderson, who became one of the foremost students of early philatelic history and literature, co-author with B. T. K. Smith of Early English Philatelic Literature 1862-1865 London 1912, a book of which only 120 copies were printed. He was Librarian to the University of Aberdeen. My father one day happened to find among papers in his office a copy of the very rare provisional 8c. green of British Guiana and I had the good luck to lay my hands on another at home. Well, I put one of them into my album and regarding the other I wrote to Victor asking him what he would give for it. He asked me to let him see it. I sent it and he offered stamps to the value of 7s. 6d. in exchange. I gladly accepted his offer and even sent the other specimen and thus got 15s worth of stamps for them. Ye gods, would I had them now! No stamps are rarer – often have I searched again but have never obtained another circular 8c. green provisional British Guiana. It is worth emphasizing that those “Reminiscences” were written in 1868 before it was generally realized how rare the stamps were. The greatest numbers of Cottonreels to be available on the philatelic market were found in British Guiana between 1876 and 1878. A parcel of between three hundred and four hundred Cottonreels was bought by E. Stanley Gibbons from a correspondent in Georgetown. As is related in Fifty Years of Philately by Charles Phillips p.23 – written some fifteen years after he had bought the business from Stanley Gibbons – the bulk of the Cottonreels bought by Gibbons from British Guiana were the 12 cents blue, but there were amongst them some scores of 4 cents orange, a smaller number of 8 cents green, but no copy at all of the rare 2 cents rose. The collection formed by Phillip La Rénotière von Ferrary was particularly rich in the Cottonreels, literally dozens of them, including two pairs and a single of the 2 cents (IV) and no fewer than five pairs of the 12 cents. Ferrary, an Austrian subject, fled from France to Switzerland after the outbreak of World War I, but he left most of his philatelic treasures in Paris. He died at Lausanne in 1917 and in his will he directed that his entire collection should be given to the Reichspost Museum at Berlin, to be put on exhibition forever. The French Government sequestered the collection, however, and offered it by auction at Paris in fourteen memorable sales at the Hotel Drouot between 23 June 1921 and 26 November 1925. The money thus raised, amounting to more than £400,000, was credited to the account of Germany’s war reparations. In the Royal Collection there are twenty Cottonreels, including the first known pair of the 2 cents (V- VI) which had been found by E. C. Luard in 1888. One of the two known examples of the 4 cents on lemon paper cut square and two examples of the 12 cents in which the figure “2″ has a straight instead of a curved foot. There are fifteen Cottonreels in the Tapling Collection in the British Library; they include the other 4 cents on lemon and a 2 cents (III). Thomas Keay Tapling, Member of Parliament and Vice-President of the (Royal) Philatelic Society, London, died on 6 April 1891 and bequeathed his collection to the British Museum. The collection was transferred to the British Library on its formation in 1973. The collection of Alfred H. Caspary, auctioned by H.R. Harmer Inc. in New York, contained (in sale 5) three 4 cents, one 8 cents and four 12 cents Cottonreels. In 1864, in the Standard Guide to Postage Stamp Collecting by Bellars and Davie, the same 8 cents green is listed as a square stamp with the additional information that it was “Black on coloured paper”. 1850 Name (of country). Value in centre. Printed. Coloured paper. Typographical print. A similar listing is to be found in the Katalog über alle seit 1840 bis 1864 erschienenen Briefmarken by Wilhelm Georg Basel 1864. Those recordings controvert the statements repeated throughout the years, that the early records were all incorrect in relation to colours. Some early records, however, included an 8 cents on red paper, a stamp that never existed. The first article in the philatelic press concerning the issue was entitled: “Des Timbres de la Guyane Anglaise” by Georges Herpin and was published in Le Collectionneur de Timbres-Poste vol.1 p.28 December 1864. That magazine was the first philatelic periodical to appear in France; it was published in Paris by Arthur Maury who, at the outset, described himself as “M. Maury fils” and only with the beginning of volume 3 in January 1866 conducted his business under his proper name – although many articles appeared in volumes 1 and 3 above his initials or name. where that signature is conspicuous by its absence… In spite of their scarcely seductive appearance, these stamps must be classed among the most desirable and the most difficult to obtain. Also we consider ourselves very happy to be able to offer our subscribers the reproduction of the two examples (the 4 and the 12 cents) of which the accuracy cannot be put in doubt because we ourselves have the originals in our hands. In The Stamp-Collector’s Magazine, which had started in February 1863 and was to become one of the fountains of philatelic learning, vol.3 pp.99 to 104 July 1865, was an article entitled “The Postage Stamps of British Guiana”, written by Frederick Adolphus Philbrick, Q.C. who was joint author with W. A. S. Westoby of the classic work The Postage and Telegraph Stamps of Great Britain and he contributed many articles and much information to the philatelic press in the early days under his nom-de-plume “Amateur”. Westoby was one of the foremost students of the day, a barrister who for long resided in Paris. For this article, Philbrick used the byline “Damus petimusque vicissim “, the motto of the Colony: “We give and we seek in turn”. He had been in communication with the Postmaster at Georgetown and the article is noteworthy for a reference to “a stamp of this issue on pink paper”. With hindsight, it seems possible that that is a reference to the 2 cents on rose paper, which nowhere had previously been mentioned and was not to be discovered by European collectors for twelve more years. Philbrick went on to state: “No specimen is known to exist, nor has the writer any authentic information which would justify him in inserting such a stamp in this list”. At the end of 1877, Thomas Ridpath, the Liverpool dealer, bought an example of the 2 cents value (I) from a British Guiana collector. In The London Philatelist February 1900 Bacon gives the name of that collector as “Mr. Kirton” but A. D. Ferguson’s article states “The first copy of the two cents circular was found by Mr. N. R. McKinnon in 1877. This he sold to T. Ridpath … ” Undoubtedly it was McKinnon, a local resident, who was well known as a vendor of the stamps of British Guiana and not an otherwise unknown person by the name of Kirton who sold the 2 cents stamp to Ridpath. In March 1878, McKinnon sold an example (II) of the 2 cents to Alfred Smith & Co. of Bath. That stamp was bought by the Caillebotte brothers, George and Martial, enthusiastic collectors who began collecting seriously in 1877 and in a very few years had put together one of the largest general collections ever formed. It was dispersed in 1887 when Martial married. After various other transactions the stamp, at the beginning of the present century, was acquired by the Reichspost Museum in Berlin. In the museum, the stamp, with the complete set of four Hawaiian Missionaries, together with the two Post Office Mauritius and a 4 cents of 1856 British Guiana, was secured in a vertically mounted lead wall frame behind strong glass, protected by a steel cover which had to be lifted for the stamps to be inspected. There the frame remained until air raids on Berlin were increasing. Together with other rarities from the museum, the wall frame was sent for safety to a salt mine shaft in Thuringia. When hostilities ended, the wall frame and its stamps had disappeared. 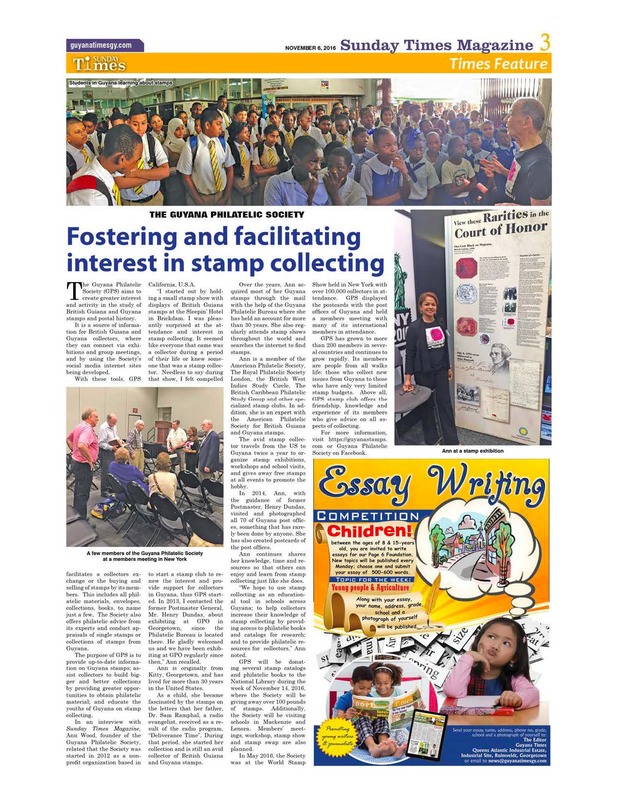 At Interphil 76 – the seventh International Philatelic Exhibition, held at Philadelphia from 29 May to 6 June – a man approached the stand of Robson Lowe and offered to sell them some rare stamps in a small frame for $500,000. The issues, of course, and their genuineness were immediately apparent, as also was the very poor philatelic condition of the stamps, but what they actually were was not at once appreciated. However, subsequently, reference to our book Stamps of Fame instantly revealed that the two Post Office Mauritius and the 2 cents Hawaiian Missionary in the frame had come from the Berlin Museum. When he returned to London, Mr. Lowe reported the offer to New Scotland Yard which informed Interpol. After much behind-the-scenes activity for over a year, the whole story, or nearly the whole story, was revealed and headlined in the press throughout the world in November, 1977. The man’s name was not publicised but his story was that, in May 1945 when he was a captain in the United States forces stationed in Leipzig, he was in charge of the U.S. office supervising hidden treasures. Shortly before the U.S. forces moved out in June 1945 to give way to the forces of the U.S.S.R. he was approached by a man fearing for his life under the coming Soviet occupation. The captain’s help was sought and given for the man to flee to a safe zone. As a mark of gratitude for help the captain was given by the man a brown paper package containing the stamps. He had put it in his duffel bag and, on his return home, in Reading Pennsylvania, from war service, had put it in his attic. It had remained there until publicity attendant on philatelic rarities at Interphil 76 had called it to mind and he had brought it out and taken it to the dealers’ stand at the exhibition. Eventually the man surrendered the stamps to the United States authorities, who faced claims to ownership by both the Federal Republic of Germany which had re-established the Reichspostmuseum in Bonn and the German Democratic Republic which asserted the former location on Leipzigstrasse in East Berlin. In October 1990, two weeks after the reunification of Germany, the United States delivered the frame to the German ambassador in Washington. It was explained then that the frame had been moved in 1943 to a mine in Eisleben, a large mining centre later part of East Germany. In 1878 McKinnon’s collection was bought by Ridpath. The 2 cents of 1851 in the collection was in better condition than the copy which Ridpath had sold to Ferrary and the dealer exchanged it for the one in Ferrary’s collection. The discovery of another pair (VII-VIII) on letter by Canon F. P. Luigi Josa, was one of the most remarkable stamp finds ever made. Being in the colony about the time of the large finds of early British Guianas he was attracted to stamp collecting and it was his good fortune to handle numbers of the rarities … but it was the romantic discovery in 1896 of the pair of 2 c. rose of 1850 that gave him fresh enthusiasm for stamps and he always lamented that, although so many of the rarities passed through his hands, he could never afford to buy any. Josa was the first vice-president of the British Guiana Philatelic Society, which was formed in 1903. He died 19 December 1922 at Port Isaac, Cornwall. On Easter Day, 1896, Christ Church, Demerara, was financially in a bad way. We were overdrawn at our bankers to the tune of £100 odd. We had an instalment of the mortgage on our school due, of £175, and other claims, and we were making efforts to raise some money, and our comparatively poor people gave an Easter offering of a little over £75. this being the name of one of our plantations on the West Coast of Demerara. This envelope contained two stamps, an unsevered pair, cut to shape and they were the very stamps that buyers had been in search of, and for which there were standing advertisements. The pair is now the property of Mr. E.C. Luard and Mr. Castle who has seen a photograph of it, describes the stamps as in good preservation. Placed horizontally upon the letter, they present the whole of the design, although as is almost, if not absolutely, universally the case with this stamp, they have the outer edges of the paper cut away close to the design. The obliteration ‘carries’ on to the letter which is post-marked with date within parallel circles containing the name of the town (illegible, though probably Demerara). The use of “carries” shows that, in those days, the term “tied” had not yet gained universal acceptance as indicating that an impression of the cancellation overlapped the stamp and cover to which the stamp was attached. In the Biographies is a copy of the photograph which E.C. Luard had taken of the cover in 1896. It is somewhat dark and affected by folding. The print is embossed with Luard’s address “La Bonne Intention, Demerara” and is signed by him. The photograph is authenticated by the signature of J.W. Dorman, another well known philatelist of Demerara. The only other examples of the 2 cents to have been found are a pair [IX-X] on a letter addressed to “Edward Gordon, Esq./Plantn Good Hope”, which Luard obtained in the middle of 1897. Mr. T. M. Gordon, his son, states, so far as he can remember it was in 1896 Mr. J. W. Dorman had a look through his stamp album and made an offer for it which was refused. A few months later the album disappeared and was never found, but the pair on the lettersheet by some good fortune was discovered later at the time when he was clearing out bundles of his father’s letters to be burnt, when, miraculously it escaped destruction and was promptly sold to Mr. Luard. Mr. Gordon cannot remember the price paid nor does he appear to have placed much value on, or concern over, these much desired stamps as he refers to the incident as ‘when they all went stamp mad’. The “Edward Gordon” letter was purchased by Maurice Burrus, an owner of a leading Swiss tobacco company and an ardent collector, for the highest price he ever paid for a single item. It formed part of the Weill Brothers’ stock auctioned by Christie’s Robson Lowe in Zurich on 22 November 1989. The letter realized SF 585,000 and was exhibited in the Simon Greenwood collection of British Guiana, at the Stamp World London 90 at Alexandra Palace 3-13 May in class B2. Although the highest three values, 4 cents, 8 cents and 12 cents, are known unused or, at least, passant pour neuf, the 2 cents is unknown in that condition. Further, all the dissevered examples of the 2 cents which have been recorded are cut more or less to shape, whereas other values are known cut square. An interesting item, which first came to light on the dispersal of the Ferrary collection, was a letter-sheet with a stamp on pale blue paper showing the value as 2 cents instead of 12 cents. This probably resulted from the first figure dropping out of the brass tube during the printing or while the tube was being altered from printing one value to print the 12 cents. At the Ferrary sale, the letter realised £90. It was bought by Maurice Burrus. At the sale of his collection, on 26 November 1963, by Robson Lowe, the letter realized £2,500. On 23 October 1968 it was offered for sale at auction by Edgar Mohrmann, of Hamburg. The sale took place aboard the ship Wappen von Hamburg (Arms of Hamburg). The letter, lot 3330, realised DM 175,000, the purchaser paying 10% commission so that, at DM 10 to £1, the letter cost the purchaser £19,250. In April 2008, David Feldman sold the cover for €597’000.